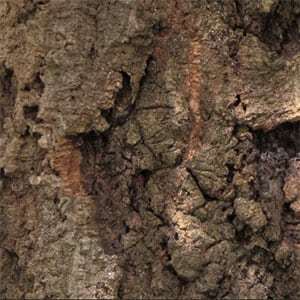 Quercus suber is best known for its bark, used to produce cork. 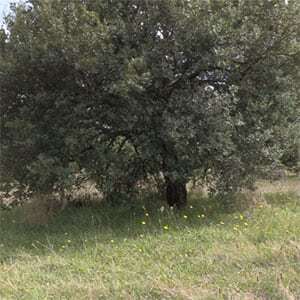 Widely used in Melbournes Parks and Gardens this is a slow growing evergreen oak that is used widely as landscaping trees across Europe as well as in Australia. The deep fissured bark is an added attraction, the leaves have a distinctive ‘Holly shape’ and a mature specimen with its twisted branches is elegant. This is one species that does not produce many acorns, so the litter problem is much reduced, as is the possibility of self seeding. As the trees age they develop character and mature specimens with a gnarled and twisted look make excellent large specimen trees. Used in parks and larger gardens and also a a street tree. Although in good conditions Quercus suber will reach 20m in height when roots are constricted as in many street plantings eventual height may be around 12m. Excellent as an evergreen tree is required as a specimen or as a shade tree. Slow to become established this is a long lived tree, well suited to Australian conditions and regarded as reasonably drought tolerant when established. Regarded as pollution tolerant and as a tree that improves air quality. It is interesting that this large tree is also used in bonsai, and the bark extract is used in cosmetics. Height – To around 12 – 20 metres.